Have you read my article about the best reasons to study in Finland? If yes, you’ll notice the first reason is that tuition in Finland is basically free. The government of Finland have managed to keep tuition-even for international students-free. Therefore, you don’t need to worry about how to study in Finland for free. You have a good shot at that if you are accepted by a University in Finland. How do I find the right school to apply to? Would I be studying in English or Finnish? What are the requirements to study in Finland? 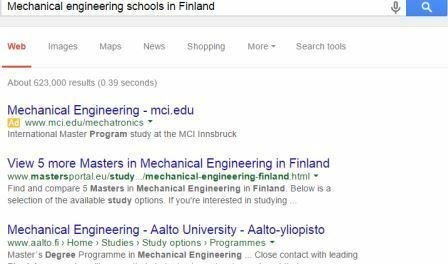 How do I apply to a school in Finland? Can I still apply to study in Finland this September? What do I do after I’m accepted? I’d answer these questions one by one. Keep reading. 1 How to find the right program. How to find the right program. I believe this is obviously the first thing you should do before your final year of high school. For example: If you want take up building machines, robots, etc., as a career- Mechanical Engineering is the right program you should go for. Don’t apply to any program for the fun of it. Don’t apply for a program because that is what is available at the University of your Choice. Choose the one you want to apply to. Find out if they offer the program you want to study. Read some online reviews about the university. Repeat the same procedure for 5 more universities (note: you are only allowed to apply for a maximum of 6 programmes). Another way to find a school to apply to, is to is to do an online search for the schools that offer the program you want to study in Finland. There are more than 500 programs that are taught in English language (another reason to study in Finland). You can click here to view the database of programs that are taught in English language. 2). Contact the Admissions office of the school, and ask for the entry requirement. An alumni or student in the school. 3). The admissions office may send you their requirements for admission after you complete your joint application. English Language proficiency test: IELTS, TOEFL, PTE, are usually accepted. An English proficiency test is needed if you are not from a native English speaking country. The minimum test score varies from one degree program to another. Diploma or matriculation exam result. You can apply for most of the Bachelor´s level studies conducted in English through the joint application. 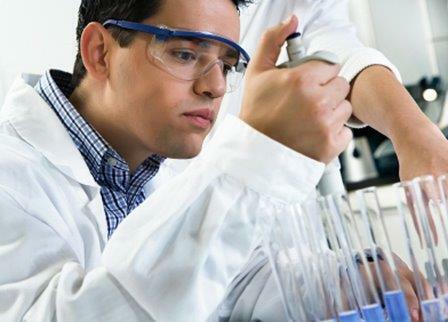 The joint application enables you to apply to 6 study programmes. You can only fill the application form once, therefore do so carefully. Submit the application after you’ve checked the information on the preview page. Write down your application number for future reference. Check the guidelines on what to do next. A confirmation that the application form has been received will be sent to your e-mail. The first application period starts from 7th January to 27th January. During this period, you can apply for Universities and Polytechnics/UAS Bachelor´s level studies conducted in English and University of Arts Helsinki’s programmes. The second application period starts from 17th March to 9th April. During this period, you can apply for Universities’ and Polytechnics’ degree programmes that are mainly conducted in Finnish and Swedish. Free tuition, free application-that’s just cool. Application for September 2015 intake ends tomorrow (9th April 2015). You can apply before 15:00 Finnish time. You will receive a letter with the application results from the education institution. The letter also includes instructions on accepting the study place and registration as well as important dates.